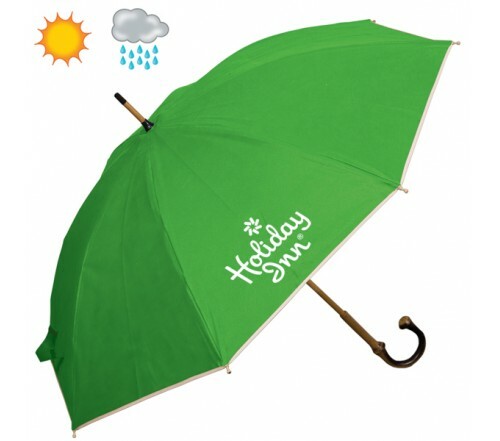 Spring is on and it makes a great time to shop for some branded umbrellas to promote your brand. 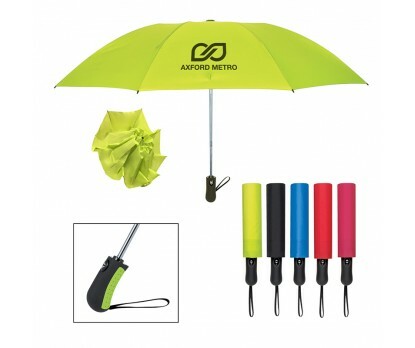 Keep your team, clients and fans safe from bad weather with umbrellas that are imprinted with your brand and message. 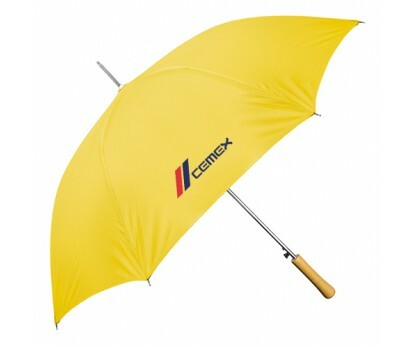 It will keep out the rain but put your brand on a display. 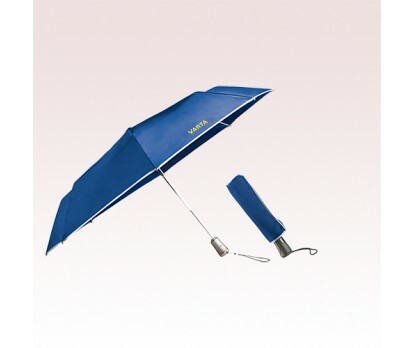 Telescopic Inversion Folding Umbrellas: This innovative and fashion forward umbrella has an inverted folding design that allows you to open and close it inside-out, so water is easily contained and surfaces remain dry. 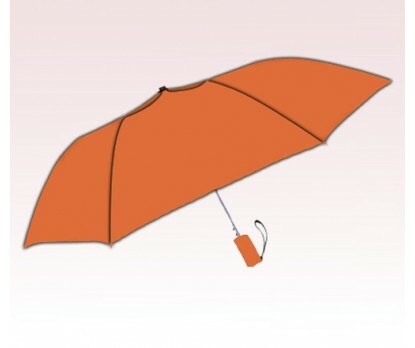 Even in heavy rain, you are rest assured that these umbrellas will not wet the floors or car when you fold it. 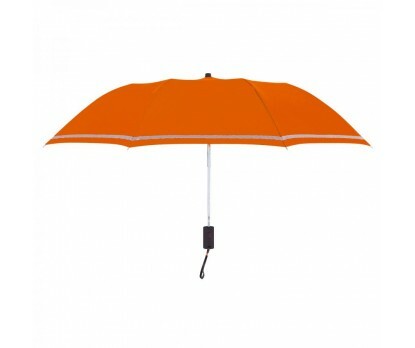 Get your brand and message imprinted on these umbrellas to get the undivided attention of your audience. Everyone will surely love the idea of getting these crowd pleasers for free. 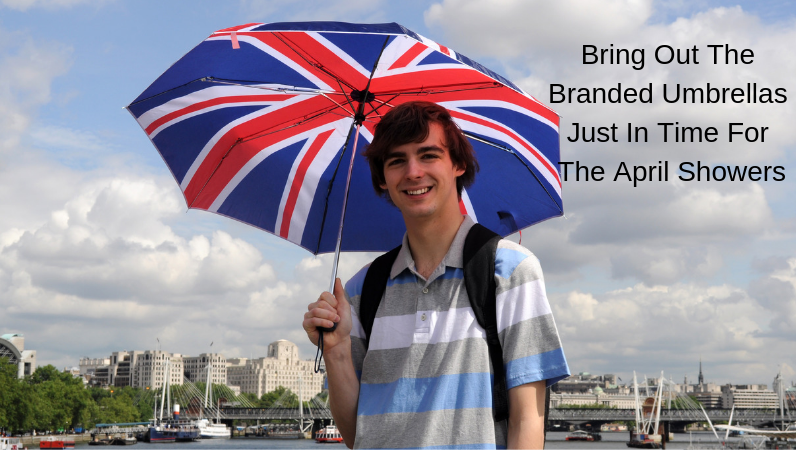 Windproof Vented Auto-Open Folding Umbrellas: The windproof frame construction will make sure that these umbrellas will not get tossed inside out by the gust; it will protect the users from the worst spring has to throw at them. 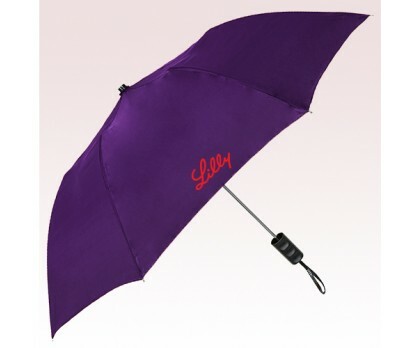 These auto open umbrellas come with a red fabric case which makes it easy to store and carry. 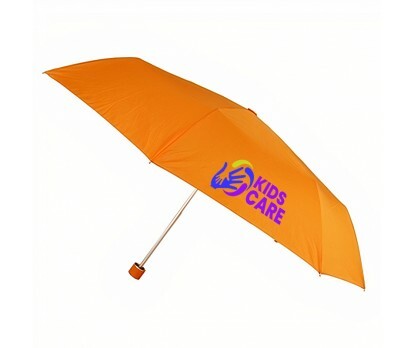 44 Inch Arc Custom Auto-Open Folding Umbrellas: Turn even a bad weather day in your favor with these auto open folding umbrellas made available in both solid and two tone color choices. Matching sleeve, wrist strap and rubberized comfort grip are some of the other features that add up to the mass appeal of these umbrellas. 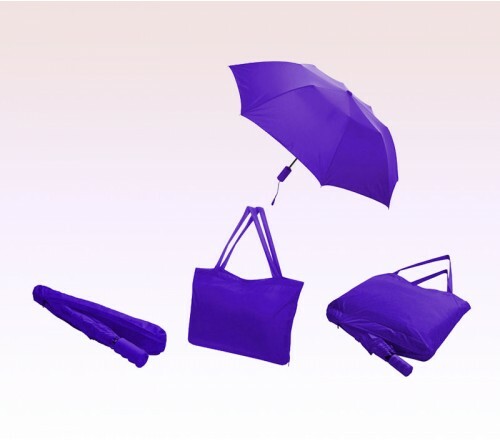 Personalized Totes Titan 3 Fold Auto Open/Close Umbrellas: Looking for an umbrella that looks perfect, no matter what the event is? 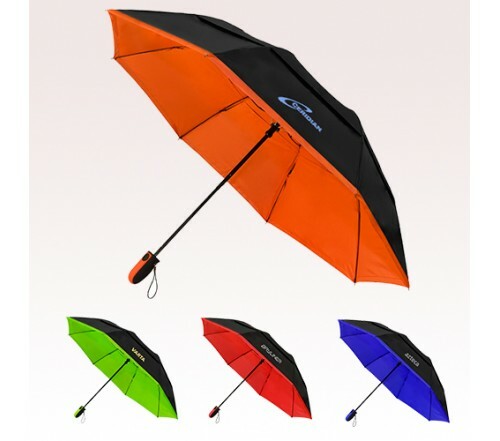 These 3 fold auto open umbrellas will keep you dry from the rain while you walk into the office and let you make a poised entry to work. This will come handy on a sports day when you need a little protection from the sun. The TITAN Technology withstands winds up to 70 MPH, which makes it a great choice for the golf greens or the beach. You will look good and feel ready-to-go, no matter where the day takes you. 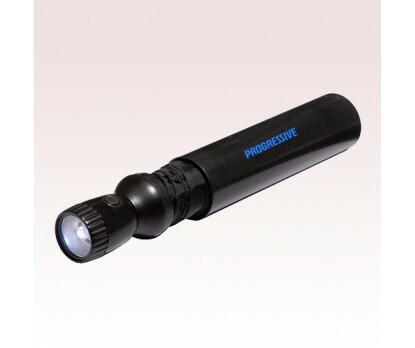 Tube Umbrella with Flashlight: An umbrella that doubles up as a flashlight, these logo umbrellas will lighten up any dull day and bad mood easily. Out your brand on enjoy the raves that they bring. Auto-Open Wood Grain Handle Fashion Umbrellas: These umbrellas feature an ecofriendly wood grain handle and a highly useful automatic opening. 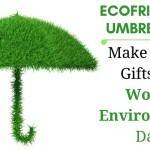 Great for green themed events like Earth Day. Your brand and message will get a lot of appreciation for sure. 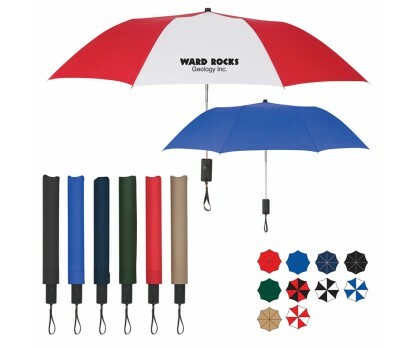 Custom umbrellas indeed fit just about anywhere; choose your favorite colors, customize to show off your brand identity and keep the day even if it isn’t. Happy shopping!